Malaprops happen. Malaprop (noun): the mistaken use of a word in place of a similar-sounding one, often with unintentionally amusing effect. In fact, I have run into many intelligent people who malaprop all over the place. “Arachnids” have become ARK-a-nides (A ship filled with pheasants?). And “hyperbole” has been known to sound more like HYPER-bowl (a Super Bowl for ADHD sufferers?). These malaprops are happening all over the place. To smart people. It’s pandemic. And it’s hilarious. 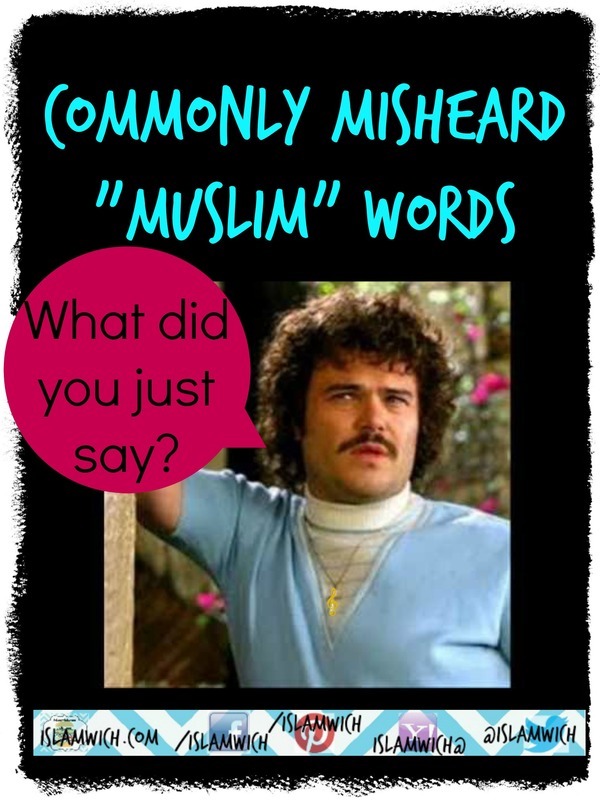 Malaprops of “Muslim” words are happening with great frequency here in the West. We Westerners are just not used to the interesting ways in which Arabic demands to be spoken by every part of the mouth, tongue, and throat. And because our Western tongues and ears are unaccustomed to linguistic acrobatics (we are lazier in our lingua), malaprops happen. And they are hilarious. Here are a few I have come across and what happens when wily words go wrong. 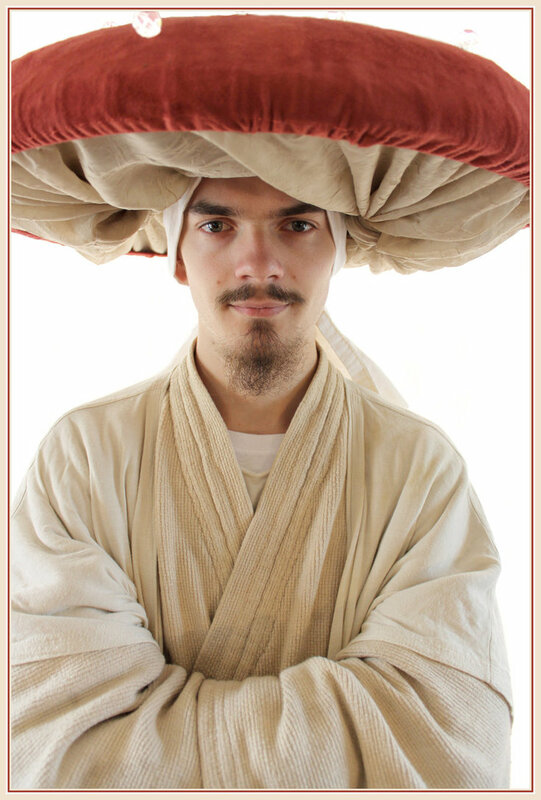 A mahram is a male relative tasked with protecting and providing for his female relatives. A woman’s father, brother, uncle, etc. are her mahrams. But, my brother wanted to know why I was calling him my mushroom. “Asalamu Alaikum” is the proper Islamic greeting which means, “Peace of God be with you”. 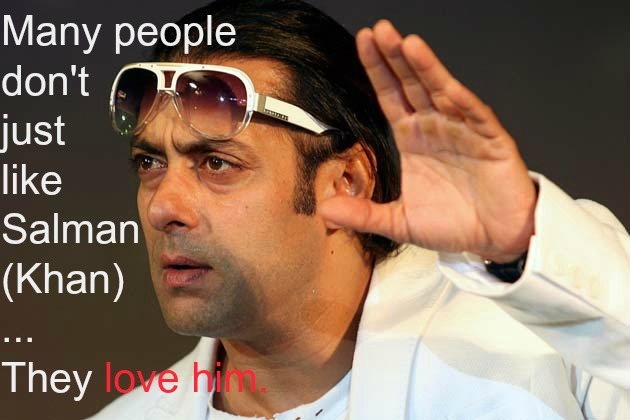 But the phrase can get lost in translation, leaving someone with a Western ear to wonder, who is “Salman”? And why do Muslims keep telling each other, “Salman, I like him“? Check out his movies if you want to know why. watch Salman Khan’s movies at your own risk. Wudu is the ritual purification (ablution) Muslims do before prayer, washing hands, face, hair, ears, and feet. We often ask each other, “do you have wudu?” before going to pray because once the act of purification (wudu) is complete, it can be invalidated by different bodily functions (namely farting and various other nasty things) and needs to be repeated. The mention of “wudu” can be confusing to the unsuspecting, non-Muslim Westerner in the room, leaving them to wonder how someone can “have” voodoo. Where this voodoo is kept, and can I have some too? 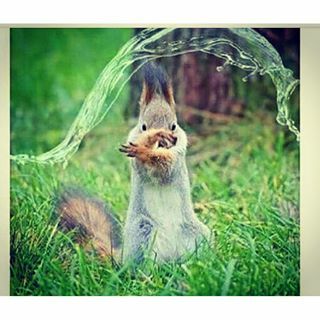 You shall not Pass!!! … gas. Tawheed is the concept of strict monotheism that is central to Islam. But it dangerously toes the line of sounding like “tow head“, an endearing term used to describe people (usually children) with very light blond to white hair. I can imagine FBI agents who have bugged the Friday sermon of a local mosque, asking themselves, why are tow heads so important to Muslims? Do they love Draco Malfoy? Or has the famous Harry Potter tow head converted? Fiqh is a fancy word that encompasses things pertaining to Islamic law and gaining knowledge of Islam through jurisprudence. But this word sounds too much like fig for mistakes not to happen. 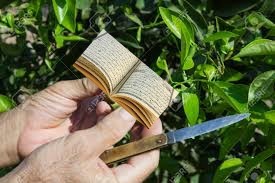 I am not naming names, but once a new Muslim (it might have been me) mistook “fiqh” for “fig” and wondered to herself, why are Muslims so concerned with getting figs’ interpretations? What is a fig doing interpreting anything? Do they grow those interpretive figs somewhere around here? Do they get a deal if they pick their own? Shariah Law is the body of Islamic law. Simple, right? Well not in the case of the people who have heard the name “Shania” all their lives and then all of the sudden Sharia starts popping up in the news. The logical conclusion is that you have people thinking it’s Shania Law. More about Sharia here. 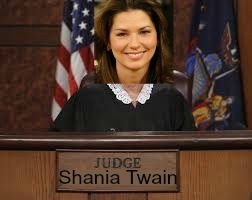 All this word confusion could lead one to wonder if Judge Judy was de-throwned by Shania Twain in one epic celebrity death match. Or wondering if Judge Judy was the one Shania sang about in her song, “That don’t impress me much”? Whatever happened, Shania is in charge now. Who’s the boss now, Applesauce? There are endless malaprop possibilities, folks. In the comments, share the malprops you’ve heard, whether it’s Arabic or Islamic or not. Or I will declare Shania law on you! Okay this is just funny!